Gov. Chris Christie once again declared a state of emergency in advance of the storm headed to the Garden State later tonight. Christie also authorized the closing of state offices tomorrow for non-essential employees. The storm is expected to dump up to another 10 inches of snow on New Jersey, followed by sleet and rain. Forecasters are warning of the danger presented by up to a half inch of ice on tree limbs and power lines. The storm is expected to begin around midnight and continue into the morning. It follows yesterday's storm, which dumped up to a foot of powder in some portions of the state. It's followed by yet another storm expected to hit the state this weekend. 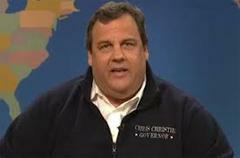 Christie has urged people to stay indoors during the storm. “I encourage all New Jerseyans to stay off the roads if possible so that our first responders and public safety officials can safely respond to any emergency situations,” the governor said.